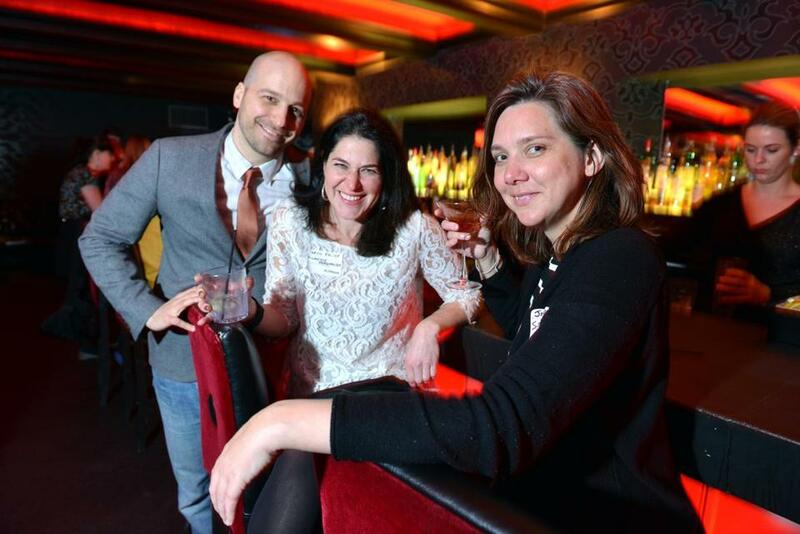 From left: Chris Castellani, artistic director of GrubStreet, Taryn Roeder of Houghton Mifflin Harcourt, and writer Jen Deaderick at Storyville. Not all writers are recluses. A slew of scribes descended upon Storyville — appropriately enough — to kick off the three-day literary conference known as the Muse and the Marketplace. (Taking place this weekend at the Park Plaza, the conference for aspiring writers covers everything from publishing to promotion.) The civilized soiree at Storyville included plenty of frosty beverages, a little networking, and even some dancing. The featured speakers at this year’s Muse and the Marketplace are crime writer Walter Mosley and Jane Friedman, former CEO of HarperCollins Publishers Worldwide and cofounder of Open Road Integrated Media, which sells ebooks.